This port can be connected to the Remote Control trainer port. This port enables you to remotely control the gimbal on the drone using the link between the Ground Unit and the Air Unit. The five antennas provided need to be screwed onto these connectors. Powers the Ground Unit on and off. The CONNEX system supports up to four Ground Units per Air Unit. The Ground Unit provided out-of-the-box automatically searches for and connects to the Air Unit provided in the same box. The Link button enables you to connect additional Ground Units to the same Air Unit. For details, refer to Multicasting to Multiple Ground Units. Battery Plate Screws: Four screws for connecting a battery plate are provided on the bottom of the Ground Unit. The battery plate, which is an optional accessory, is not included, and may be purchased from AMIMON's website or authorized resellers. The box number in which each cable is provided is indicated in the table below. Four different adapters are provided for indoor use only. Box 5. 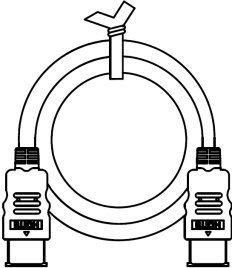 3-pin to Futaba – 1 meter cable. Box 6. PL 2.5mm male to PL3.5mm male. Box 7. 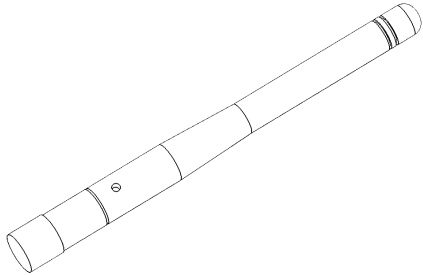 Five 2dbi screw-on antennas. Box 4. The Micro USB connector connects to the USB port on the Air and Ground Units. 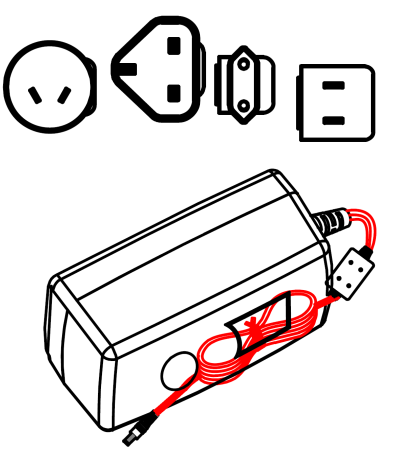 The mini USB connector connects to a computer on which the Ground Unit software is installed. Box 6.